Seriality is a serious thing. The Dutch collector, editor and curator Erik Kessels is deeply convinced about this, to such a point that all the projects he has been developing in the last fifteen years have always aimed to demonstrate how visual patterns are at the base of our everyday lives. His research focuses on photography, the medium that better than others can trace the evolution of image culture and the cognitive dynamics that lie behind it. Small Universe is the collective exhibition he curated for Les Rencontres d’Arles 2014, the fundamental summer photography festival that this year has reached its forty-fourth edition. 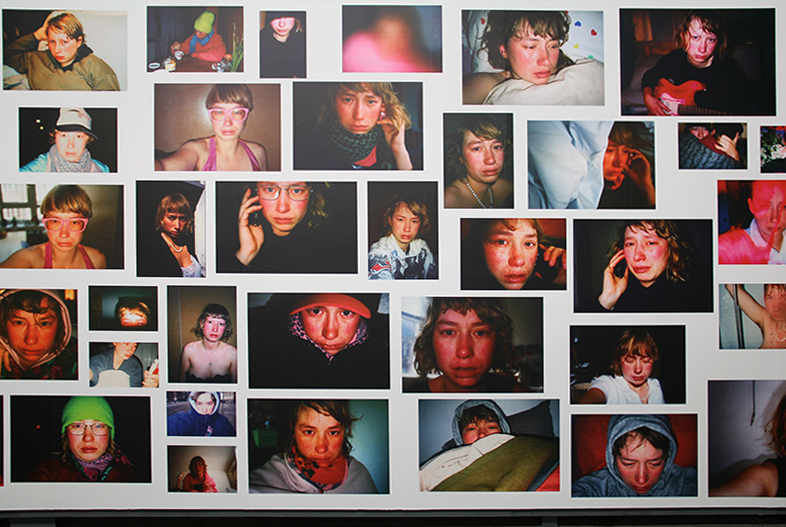 Starting from the request of putting up a show dedicated to documentary photography from the Netherlands, Kessels gathered nine Dutch authors for whom the camera is first and foremost an instrument of investigation of their own environments and habits – therein including private manias and public idiosyncrasies. Referring to the very personal sphere are the works by Melanie Bonajo (born 1979) and Hans de Vries (born 1947): while the first is a collection of close-up weeping self-portraits the artist shot every time she burst into tears, the second, called The History of the Lemon Geranium, is a detailed written and photographic documentation of the growth of de Vries’ plant, set up in the shape of an immersive and domestic-taste installation. In both cases, the perception is that we are stepping into the other’s intimacy, as if we were not the real recipients of these pictures, but instead they were uniquely taken to accomplish the authors’ need to keep trace of their own emotions. The obsessive insistence on the same subject is the exhibition’s stylistic fil rouge. It is clearly visible in TreeCar by Erik Fens (born 1949) – that from his balcony, day after day, photographed the reflection of the same tree on the cars parked next to it – and in the series by Jos Houweling (born 1943) – who anatomized Amsterdam’s urban image into categories, meticulously depicted and then assembled into taxonomic boards: doorbells, manholes, street clocks, and so on. Here, photography is at the service of the author’s observation of what “falls in his turf” – that is, the hybrid zone halfway between the public domain and the private experience – and the camera is the measurement tool to keep it under control. One of the most interesting aspects of walking through the whole itinerary is that in none of the displayed projects it is easy to draw the line that divides spontaneous compulsivity from artistic experimentation: the doubt if what we are looking at is totally brilliant or simply weird always remains. This feeling reaches a peak with Hans Eijkelboom’s (born 1949) selected works, where the conceptual artist plays on our daily use of the photographic language to unmask the conventions that define the language itself. 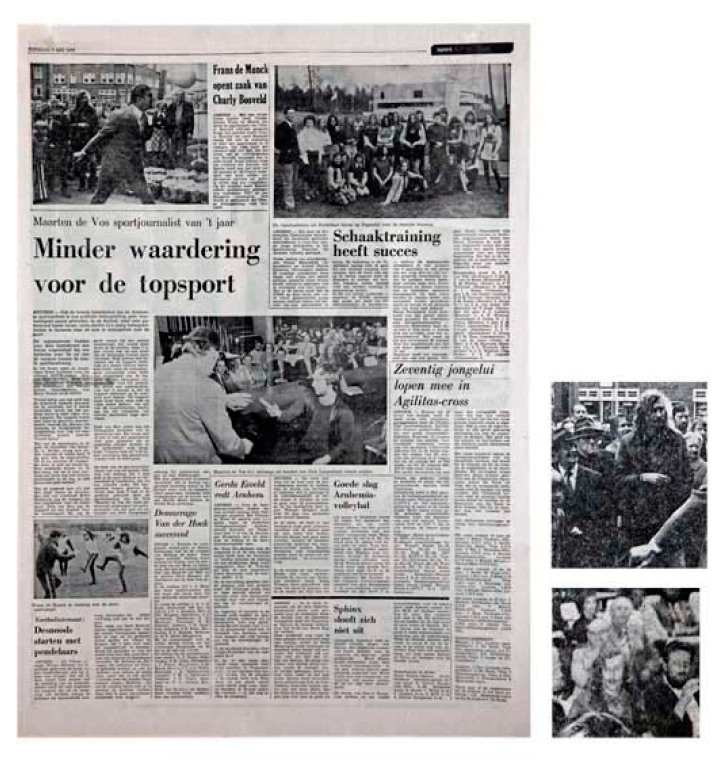 In the most hilarious series he conceived, In De Krant, for ten consecutive days he managed to appear in one, sometimes two pictures of the local newspaper’s first page; photography’s claim of truthfulness is here put under question from the inside, as the artist’s photographed presence seems to transform reality in a staged joke. For another project, called With my family, the “performer next door” pretended to be the father in several domestic family portraits, stepping into people’s houses and asking for the consent for a picture together just before taking it. Despite the complete lack of preparation, all of the resulting images are plausible, underlining how even the most intimate images are actually ruled by stereotyped paths. 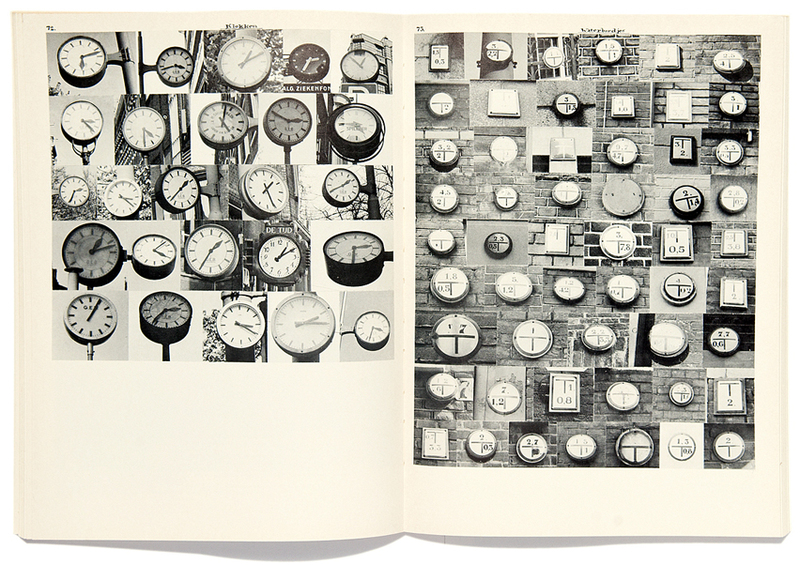 Erik Kessels used us to vernacular photography and this time he presents us a group of authorial works; moreover, the displayed projects range from the 70’s to nowadays, spanning through a period in which the approach towards photography has profoundly changed in terms of technology and diffusion. Nevertheless, the result is coherent, since the starting point is always the same: photography is an indispensable medium, whether it is consciously used or not, and its serial inclination perfectly meets its functional purpose. As we read in the show’s introduction, “in a place where horizons are limited, people make their own”. Under this perspective, the boundaries between amateurish and authorial fade; only intention remains.